The next stop after Hue is Hanoi. However, for any normal people, a 16 hours bus trip is a big challenge. As usual, we did our research as we move along, and realized we almost missed Dong Hoi. Dong Hoi (in Chinese means sea of caves) by its name, has many caves!! The famous Phong Nha / Ke Bang National Park is about an hour from Dong Hoi. However, it is very strange that most of the tours to Phong Nha departs from Hue. The tours have to depart at 6:30am and it takes at least 4 hours one way and gets back to Hue at 20:00. When we asked for more options, we realized many people like us choose to not go back to Hue after the tour and would stay in Dong Hoi or Phong Nha. 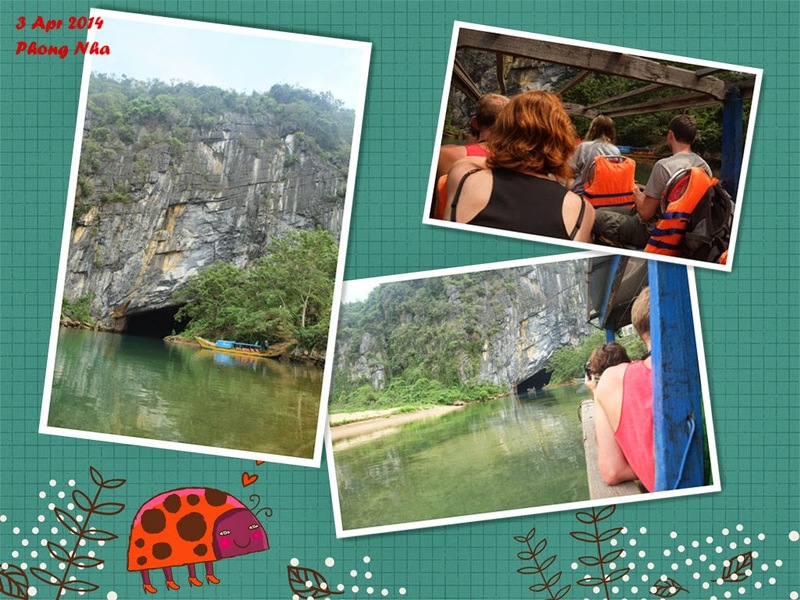 We read a lot of blogs and comments on the web, and decided to join a tour to Phong Nha departing from Hue, and then have the bus drop us in Phong Nha to spend the night. On the next day, we visit the Paradise cave on our own … but then we must go back to Dong Hoi in order to go to Hanoi, and we don’t know how. Well, Mat is so smart, and he realized that all tour buses leave Phong Nha for Dong Hoi every day. We end up paying HKD 55 for a lift to Dong Hoi by one of the tour buses. We then took off to Hanoi by night bus. Well, ok, back to the caves. We sort of have some expectations because many comments on trip advisors said that this is the best they have seen in the whole of Vietnam. Phong Nha cave was once the largest cave in the world, 70km long, and it is a wet cave and has the longest underground river in the world. As such, visits to the Phong Nha cave are by boat. The boat will turn off the engine and take off the roof of the boat when we arrive at the entrance, so that we can fully enjoy the scenery inside the cave peacefully. In fact, visiting a wet cave on a boat is quite an unique experience. The boat goes inside the cave for about 800m, returns to a small beach near the entrance and then we get to walk inside the cave for a little bit and walks back to the entrance. 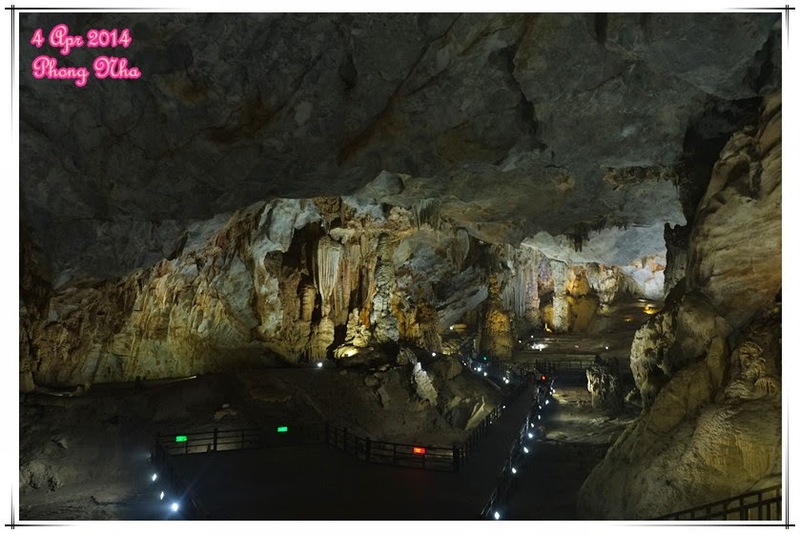 The limestone stalactites and stalagmites are huge and very fascinating, and the caves are not lit with colourful lights like those in China, it feels very grand and peaceful. You would be touched when you quietly enjoy the scenery. It is amazing how the nature creates such amazing things that human will never be able to replicate. 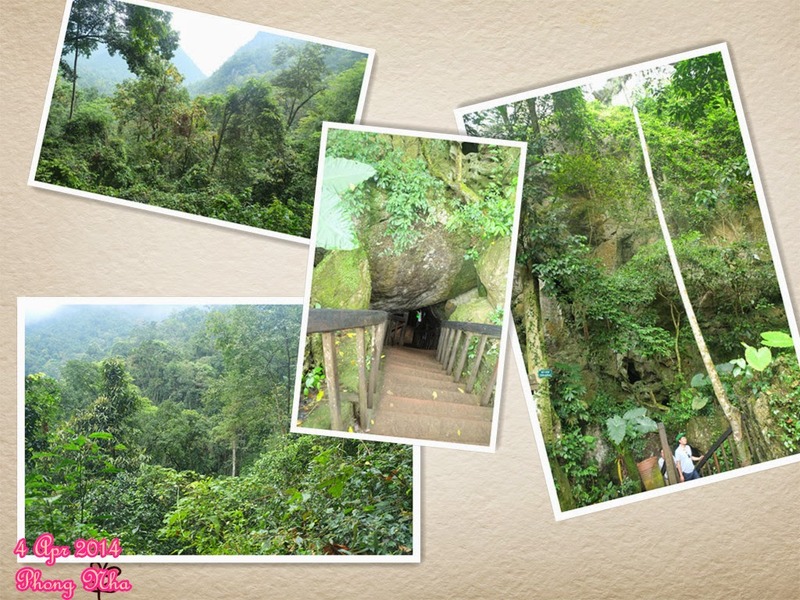 The Paradise cave is located in a thick forest and elevated by 200m. It was discovered accidentally by a local in 2005 and later on explored by the British Cave Research Asso from 2005 to 2010 and found 31km of this cave. The entrance of the cave is so small, and you have to descend once you get through the entrance. When you enter and see the first chamber, it is so huge that you will just hold your breath and don’t know what to say. If I have to describe it in a sort of quantitative manner, I would say this chamber is about the size of the HK Coliseum. 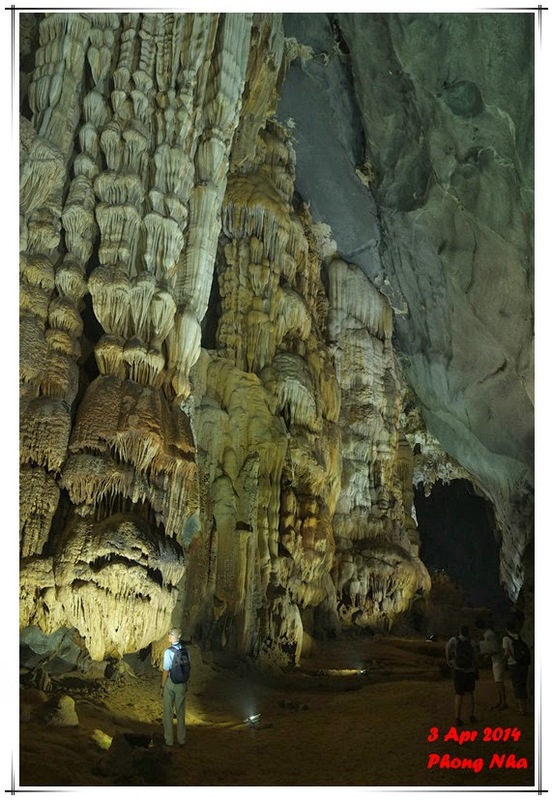 We followed the walkway and saw even bigger chambers, and the stalactites and stalagmites are even bigger than Phong Nha! The only downside is there are way too many tourists and the walkway inside the huge cave makes it a lot less natural. 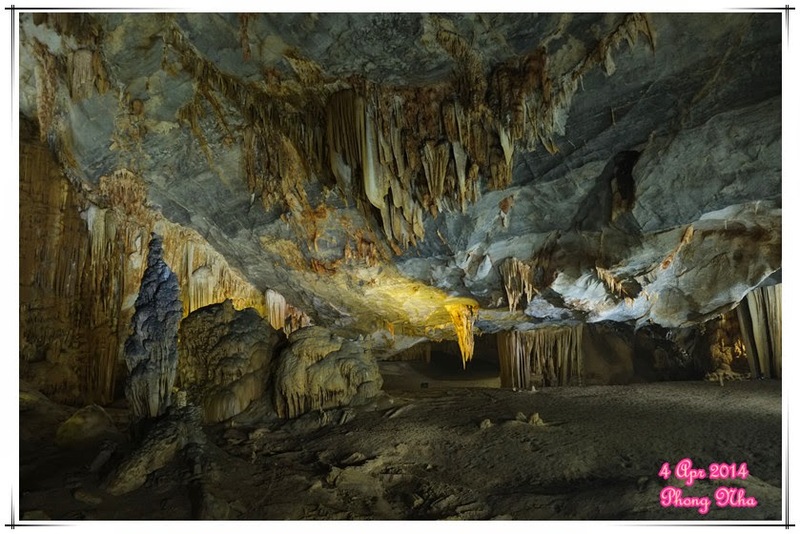 The two caves have their own charm – Phong Nha is calm and peaceful while Paradise is so huge and magnificent. I would recommend seeing both. With such magnificent nature scenery, the best and most touching is to quietly enjoy with your eyes and feel it. The camera shutter is there for some records, but it will never capture that real moment ….